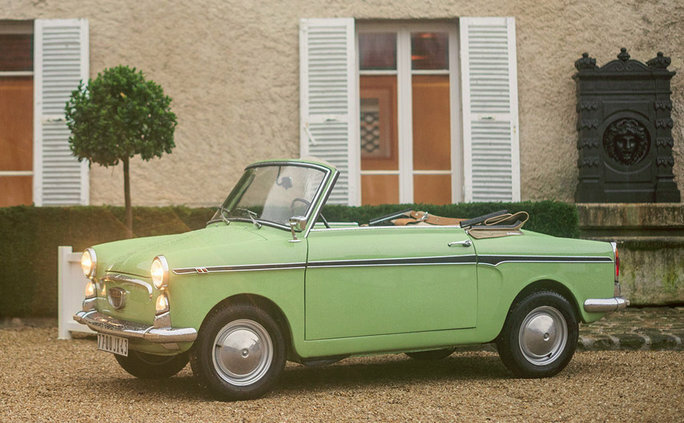 Es handelt sich um ein 1964 Autobianchi Bianchina ‚Eden Roc‘ Cabriolet, das 2016 in Paris vom Auktionshaus RM Sotheby’s für 28.000 Euro verkauft wurde. 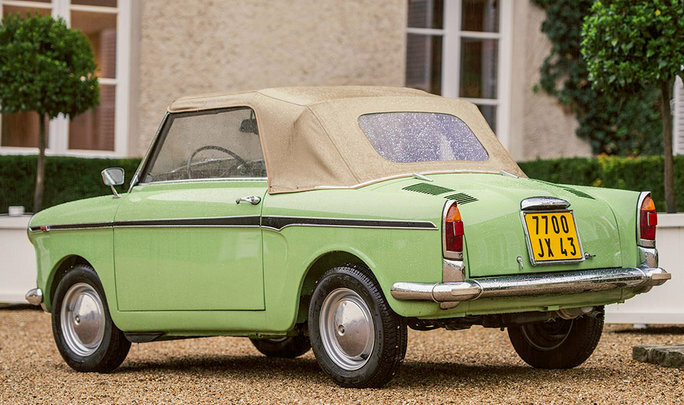 In 1955, Milanese industrialist Ferrucio Quintavalle organised a new company, involving Italian names Bianchi, Fiat, and Pirelli, to be known as Autobianchi S.p.A. Initially a manufacturer of trucks, the company introduced its first automobile, the small and attractive Bianchina microcar, two years later at the Milan show. Based upon reliable Fiat 500 Nuova mechanicals, it featured a beautiful coupe body. Later models were updated with a larger, stronger engine and were available in other body styles, as Fiat took control of the company and expanded its line. 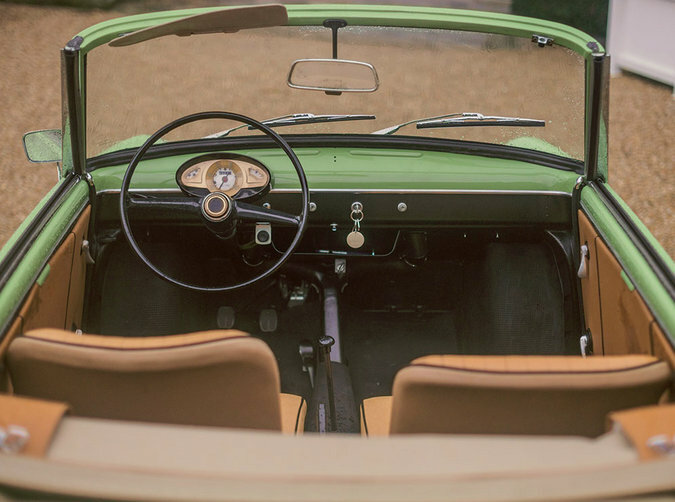 Most attractive of the Bianchinas was the two-door cabriolet, which was widely popular with fashionable European jet-setters as a second car or runabout for their vacation homes. In fact, this model was actually sold in France as the Eden Roc, after the rocky promontory in the Antibes, near so many of those villas.